Magnetism is the irresistible attraction of one object toward another via an electrical or invisible field. In traditional science, this class of phenomena is usually restricted to material objects. However, this phenomenon is universal when applied to the realm beyond the physical. The human mind is irresistibly attracted to one idea or another, and ideas or spirits may be attracted into the mind of any human if you know the proper method. Take, for instance, the cheap sort of a person. Simply implying that something can be gotten for five is enough to attract this type of person to any sort of product or service. In fact, the whole field of advertising is based upon the manipulation of a subtle, psychic magnetism. Words and pictures have always had an immense spiritual power. It is, after all. because of these things that we consider ourselves above the level of animal intelligence. Our ability to separate a thing quite ordi nary and inert into an abstract idea of power and beauty is the source oi all of the philosophy, art, and science of mankind. The gods are simply the most sublime icons of our own abstract thinking. The most simple and direct method of magnetically attracting an idea into our lives is by constructing a precise summary of the desire for our minds. A talisman is a perfect example of this. Talismans have the advantage of convenience over many other forms of magick because, as physical objects, they tend to work even in the case of a totally incompetent magician. The only thing left to you, the magician, is to construct a talisman that accurately reflects your desire and to create an atmosphere wherein it can be "charged" by the invisible force you seek. 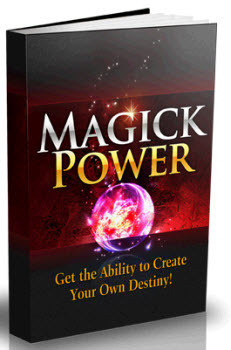 This section does not present an actual tool per se, but rather a set of tools that will enable you to connect with the planetary energies for the purpose of creating talismans. 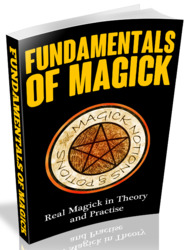 These archetypal energies form the basis of most sophisticated forms of magick, as well as a system for understanding your unconscious drives and repressions. Table 12 (below) reviews the basic correspondences of the planetary energies. You should also review t he Projection of Energy tool in chapter 7 for more information about these energies. Table 13. Correspondences of the Hermetic Qabala. desired forces in your life. Table 13 (above) gives some of the associations of the Hermetic Qabala. You may, of course, discover that other associations are more personally meaningful for you, but this is a place to start.